In the spring of 1979 I was doing several weeks of research at the John F. Kennedy Library in what was then West-Berlin, when I happened to come across a quote in which Jack D. Forbes defined an "Indian" as a person born and raised in India, whereas he would call a person Indigenous to the Americas a "Native American." "Right on," I thought, and went to find out more about the author, whose works and political statements I soon found myself agreeing with wholeheartedly. Two days later a Berlin colleague at the institute happened to give me a tape recording with a powerful political speech by the same Jack D. Forbes, who, I had learned, was a Native American professor at UC Davis. So, I decided to write to him as soon as I got back home from Berlin. As it turned out, I didn't have to. When I phoned Ruth the following evening, and we had finished talking about the kids and family affairs, she said: "Oh, by the way, you got a letter from some professor in California, 'John Forbes' or something – he wants you to help him to get a book translated and published in Germany." I was excited. "Are you sure it is John Forbes?”—“Wait a minute, let me get the envelope,” and then, “No, it is Jack Forbes,” Ruth said. Yes, it was Jack. He had read the short summary of an article about German Indian books that had been published in the Bulletin on Interracial Books for Children in New York, and underneath that summary of my article it simply said "Dr. Hartmut Lutz teaches English and American Literature at the University of Osnabrück, West Germany," and that was the address Jack had written on the enevelope. Surprisingly, it did reach me. So Jack and I had both heard or read about each other simultaneously before we even met, and against all odds managed to connect. We have been friends ever since. Together with my students at the University of Osnabrück we translated Jack’s book The Wétiko-Disease into German, and through the help of a Native woman from Argentina, Dora Weidhaas-De la Vega, then wife of the director of the Frankfurt book fair, we found in Hermann Schulz of Hammer Verlag (publishers) in Wuppertal, a congenial German publisher for the book, before it had even been published commercially in the USA. It first came out in 1981, was republished in 1984, and in 1992 it was re-edited by my former student, and now colleague and friend, Uwe Zagratzki, under the title Columbus und andere Kannibalen: Die indianische Sicht der Dinge. My application for a research scholarship to the ACLS and Fulbright commission went through, and in the fall of 1979 my family, Ruth, Andreas, Kerstin and I arrived at Sacramento airport (together with scholar and friend Bernd Peyer, who was on the same program at the same time) where Jack picked us up and took us to Davis. Ruth and I very vividly remember the first contact in the arrival hall. Jack, with his ponytail, his pipe and his pouch, slowly moved towards us, “grinning” his friendly smile, and greeting us in his wonderfully resonant voice. There, we spent a wonderful year as guests of the Native American Studies (NAS) Program, learning from Jack Forbes, David Risling, Sarah Hutchinson, Ric Glazer Danay, Howard Adams, and George Longfish. while I was writing parts of my habilitation thesis. Even the name of the NAS Center gave me a thrill. It was called "Tecumseh Center." -- I began to feel right at home. Seven miles west of Davis there is an Indian-Chicano community college, which was founded in 1971 by political activists who were also involved in the occupation of Alcatraz Island. I taught there as a volunteer for the whole year, and I wrote a book about it, D-Q U: Native American Self-Determination in Higher Education, which Tecumseh Center published. The college is still there and is now part of AIHEC, the American Indian Higher Education Consortium, the roof organization for all tribally controlled community colleges. Its full name is "Deganawida-Quetzalcoatl University." --Things began to fall into place. 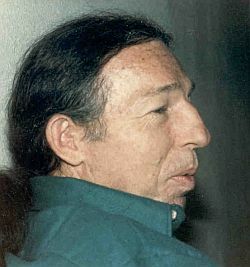 On our many trips in our station wagon to Indian reservations that year, looking up friends to whom our friend and teacher David Risling, then the director of NAS in Davis, directed us, my family and I had many remarkable encounters and experienced coincidences which were almost uncannily "right" on time and place. Our "adventures" could fill a book. There were striking coincidences which just happened, and we felt, "you can't tell this to anybody, they won't believe it." Out of several such experiences, I am particularly grateful for one, which seems less spectacular, and which I would like to share. At Davis Jack Forbes introduced us to Kathy Blacksmith, a Yankton-Sioux graduate student, who was originally from South Dakota but had moved to California during the Termination Act's removal policy of the Fifties. She told me her incredibly sad, but not at all untypical story. As small children whose parents had both died of tuberculosis within a short period, she and her brothers and sisters had been forcefully taken from her grandmother's house and had been interned – and that's a euphemism – in the catholic boarding school of Marty, South Dakota, only about two miles on the dust road to the east of her grandmother's cabin. There, they were educated to be "de-Indianized" and to become stout catholics. When Kathy left the boarding school at the age of seventeen, she did not even know she was Indian, all she knew was that she was catholic. While we were at Davis, Mount St. Helens had her famous eruption. Before my family and I left, in the summer of 1980, to drive up the West coast and then across the continent to New York City, Kathy gave us an eagle feather which, she said, would get us safely past the volcano and be helpful on our trip—it is still in our possession . She also described to us where to look for her grandmother's cabin near Marty, South Dakota, should we happen to get there. She had never been back herself, and she wondered whether it was still there. We came towards Marty from the north. Driving down from the higher hills, we saw the prairie turn golden, and wide, and almost totally flat, baking in the August sun under an infinite sky. The spire of the convent at Marty was visible from far away, and I said to my companions, "We've got to watch out now! The first Native we see, we'll have to ask for directions." But there was no person in sight, in fact, we could see for many miles, and there was nobody in sight anywhere. The road stretched straight ahead towards the buildings and cottonwoods clustered around the spire down there in the shimmering distance. Far ahead, and to the right, about halfway to Marty, there was a single house with a driveway leading towards the highway. Behind the house we would later see a ring of poles, a circular arbor, with a larger forked pole in the center, but all we saw now was a tiny, tiny vehicle moving almost imperceptibly slowly towards the highway from the house. The car was so far away, it seemed almost to stand still. When it got to the highway, instead of entering, the car simply stopped. We came closer, and when we passed it, I saw that there was a Native man at the wheel of that yellow station wagon. I slowed down a little, and in that moment the station wagon pulled out of the driveway and followed behind us. When we came to a stop, the yellow vehicle also stopped, and the driver started rolling down his side window. I got out, walked up to the car, and to avoid impolitely focusing on the face of the man at the wheel, I stood beside the car and explained why we had come. He just sat and listened, and finally said he knew where the cabin had been. He was not from here, but his wife was, and she had told him. So, Asa Primeaux showed us to the lot where Kathy's grandmother's log cabin had once stood, before it burned down a few years previous. We walked through the dry and golden brittleness of the dead grass and tumbleweeds, looking for traces of the cabin, and found the rusty stove in the dust, almost overgrown. We took pictures to send back to Kathy. Asa, the medicine man, had just conducted a Sun Dance behind his wife's house the week before, we learned, attendance had been good and encouraging. When I asked him what had made him stop at the end of the driveway, and then to pull out and wait for us, he simply said, "Oh, when your car came down that hill there was this light around it. Well, there was something about it, so I knew you wanted to ask something." I have often asked myself the "why" and "how" of those moments when things fell into place – why did Tommy Roubideaux give me that beautiful drawing saying, "I won't say goodbye because I have a feeling you are going to stay a little longer," and less than half an hour later our car's axle bearing broke, and we were stranded in Mission for another night and two days – so we could go to the Sun Dance at Crow Dog's – ? Coming from a Western philosophical tradition marked by the rationality of the enlightenment, and, in my case then, supported rigidly by a historical materialist foundation, those coincidences, which wonderfully fostered my approaches to Native American cultures, seemed uncannily disquieting. Years later, Jeannette Armstrong told me: “Relax, Hartmut! It’s all connected. Just concentrate. That’s just how things work!” And today, we have learned to accept them and be grateful for these connections. Last Wednesday, February 23rd, Uwe Zagratzki, the former student, friend and colleague, just “happened” to phone. I wasn’t in, so he asked Ruth whether we thought Jack would be able to travel to Szczecin in Poland for a conference they are planning this summer. Ruth said, she wasn’t optimistic about it. Then Uwe called again later, and we both talked about Jack for a while, about his wonderful Columbus and Other Cannibals, and that Jack was very sick and would likely not be able to travel. Jack’s thoughts are still with us, and we are grateful to have known him and for being his friends. In the longer article, of which this is an excerpt, I had explained previously, how as a child I learned about Tecumseh, as a youth became fascinated by Quetzalcoatl, and how, much later as a post-doc, I learned about the Haudenosauneee Peacemaker. Prof.Dr. Hartmut Lutz ist Professor für Amerikanistik an der Universität Greifswald.